The three denominations that formed the United Church in 1925 have all played a role in the history of Fairlawn Avenue United Church. The earliest branch of the Fairlawn family tree was formed as Toronto’s Second Congregational Church in 1849 by 25 renegade members of the city’s first Congregational church who were opposed to slavery. They paid about $650 to purchase a vacant Methodist church on Hospital Street (now Richmond) between Yonge and Bay, and held services there until moving into their own new building on the northeast corner of Dundas (then called Crookshank) and Bond streets in 1863. The church acquired a new name: Bond Street Congregational Church. Fifteen years later, the building was replaced with a larger stone church that stood on the site for 90 years. Twenty members of Bay Street United Presbyterian Church, hoping to form a new congregation east of Yonge Street, met at Second Congregational Church in 1853 to make their case to the Presbytery. Although Presbytery opposed the formation of a second church, petitioners persisted and succeeded in creating one. It held services for four years at The Mechanic’s Institute at Church and Adelaide as the Second United Presbyterian Church until its new building was ready at the corner of Gould and Victoria, (now the Ryerson campus). The congregation became Gould Street Presbyterian Church. The building was sold to the Catholic Apostolic Church in 1877, but the congregation continued to hold services there until a new church, one block north at 42 Gerrard St. East, was completed the following year. Facing the elegant St. James Square to the south (now Ryerson’s quadrangle), the church became St. James Square Presbyterian Church. Over the next 45 years, its membership included two Ontario premiers: Sir Oliver Mowat and George Ross. Meanwhile, in North Toronto, Methodists in the Yonge-Lawrence area had no church in their immediate neighbourhood. In the early days of the First World War, a group of 15 Methodist families who had been meeting in various homes banded together to form Bedford Park Methodist Church in 1915. Services were held in the former Bedford Park Hotel on Yonge Street, just south of Fairlawn, with the minister using a pulpit constructed from the bar that once served patrons. By 1920, the congregation had expanded to 40 families, resulting in the purchase of the present site at 28 Fairlawn Avenue. Members constructed a small white frame church on the site of today’s church staff parking lot, and it became Fairlawn Methodist Church. Within four years, membership quadrupled in size and a brick building, our present sanctuary, was constructed. Then came church union in 1925. The debates leading up to the amalgamation of the Methodist, Presbyterian and Congregationalist churches were spirited. A meeting held at Massey Hall in 1923 attracted 6,000 people, with most of the overflow attendees forced to follow the proceedings from nearby churches, including Bond Street Congregational. The two downtown churches became Bond United Church and St. James Square United Church. The one further north became Fairlawn United Church. The year after union, Rev. William McIlroy became the minister at Bond United and proposed that the congregation relocate to the new northern suburbs, away from the over-churched downtown. Land was purchased at 1066 Avenue Road at Willowbank Boulevard, and the first services were held there in 1928. By that time, discussions were already underway with St. James Square United, whose parishioners, too, were heading north and joining other congregations. 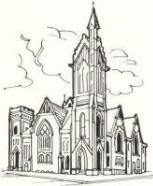 The combined congregations held their first service in 1929 as St. James-Bond United Church in the Avenue Road building that served members for the next 76 years. The church on Fairlawn continued to grow, and in 1933, two wings were added to each side — the only feasible expansion possible during the depression. In 1951, seating was increased to almost 1,000, and more education space and a new organ were added. It was a decade in which membership peaked at nearly 2,000 and the Sunday School enrolment was 950. The late 1940s and early 1950s saw church growth elsewhere, too. An Armour Heights congregation was formed in 1947 in North York, meeting in the Duke of York Public School, 12 Bannockburn Avenue at Kelso (now Bannockburn Montessori). Each Sunday, the men of the church would haul chairs and the pulpit from the basement to the second-floor auditorium. Two years later, the first services of Armour Heights United Church were held in the new building, one block north on Kelso at 63 Dunblaine Avenue. In 1952, Wilson Heights United Church was formed, with a new church built within three years at 68 Collinson Boulevard, northwest of Wilson and Bathurst. In 1968, this congregation merged with Armour Heights. As church growth began to reverse in the late 20th century, further church mergers began to take place. In 1989, Armour Heights United joined Fairlawn to create Fairlawn Heights United Church. Proceeds of the sale of the Armour Heights building in the early 1990s were used to rebuild the west wing of the Fairlawn church and create The Fairlawn Neighbourhood Centre in 1996 as a community outreach project. 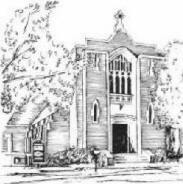 Then in 2005, St. James-Bond United joined with the Fairlawn congregation to create Fairlawn Avenue United Church. Money from the sale of the St. James-Bond building is being used to support public housing projects in Toronto. When the United Church was created in 1925, it’s doubtful anyone realized the church on Fairlawn Avenue would eventually come to embrace the founding denominations of that great experiment! Here we are dressed up for 1915 in top hats and spats for the men; hats, white gloves and furs for the ladies, at the re-enactment of a 1915 church service. The church was packed and many people came in the spirit of 1915.